One of the most comment questions we get asked from artists is “how can I see how many plays a song has on Spotify?” To find out this number, there are a couple different ways to find this information. One of the easiest ways to find out how many plays a song has on Spotify is to use the desktop app of Spotify. When you click on an Artist’s profile page, Spotify reveals how many times a track has been played. If the song is less than 1,000 plays, just mouse your cursor over the “track popularity index” and Spotify will show you the number of streams. Unfortunately, Spotify only reveals the 10 most popular songs to the public. If your song is getting a big push on Spotify, chances are you’re likely to see your most recent song in your popular section since the data for this tends to be a rolling 30-day statistic of what is popular for your artist name. In addition to track play counts, Spotify also reveals the track popularity index which is a combination of how many plays a track has received and how recent those plays were. Another way to see how many plays a track has on Spotify, artists can access the Spotify for Artists web portal and app for iPhone and Android devices. 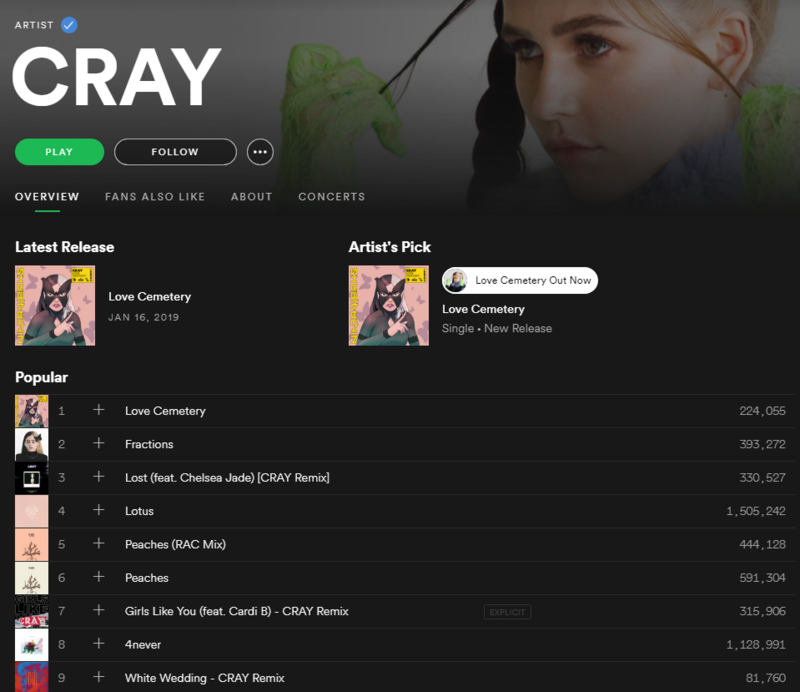 On this website, artists that have claimed their profiles can see which tracks are performing, how many plays the song has, which playlists are producing the best play counts for them and even a live counter of your song’s first 1,000 streams.